You have probably heard of these common brake replacement parts: pads, shoes, discs, rotors, drums. If you are unsure of what these parts are and what they do, you are in the right place. There are more parts involved in bringing your vehicle to a stop, but the listed parts make up the primary wear components that are designed to be replaced during brake service. First we should clear up which terms belong to which braking system. As simply as possible, disc brake wear components consist of brake pads and brake discs. Hydraulic pressure causes the brake calipers to press the brake pads onto the rotor face to slow the wheels down. Think of the caliper as clamping down on the rotor with the brake pads on each side of the rotor face. Note that brake discs are often called rotors as well. They are the exact same thing. Drum brake systems consist of brake shoes and brake drums. 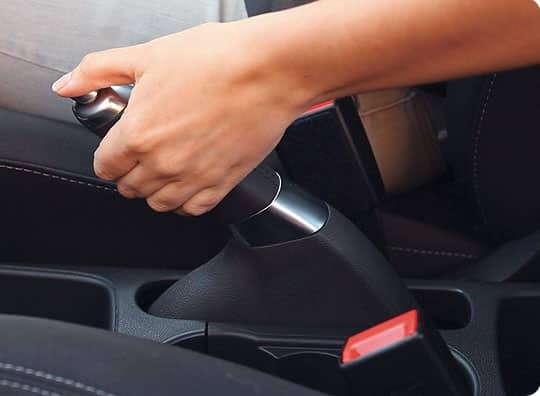 In this case, when the brake pedal is pressed, the hydraulic system results in the brake shoes being pushed outward against the inner surface of the brake drum. WHAT BRAKE TYPE(S) DOES YOUR VEHICLE HAVE? 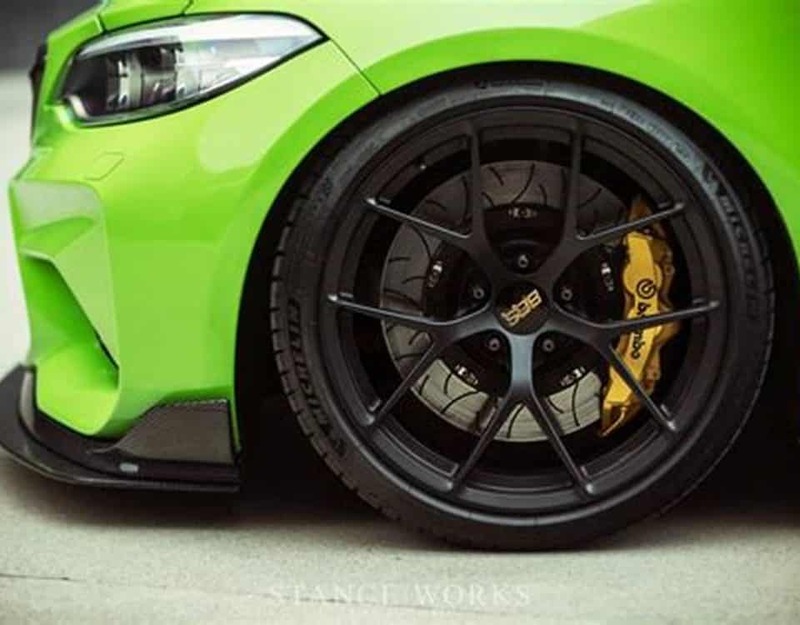 Most new vehicles come equipped with 4-wheel disc brakes, meaning both the front and rear brakes use disc brakes. However, you can still find rear drum brakes in some vehicles. They are more common in smaller cars or older vehicles. It is almost a certainty that your vehicle has disc brakes in the front. If you look through your front wheels you should see an exposed brake disc with a brake caliper covering part of the disc. The caliper is what houses and actuates the brake pads. The black Mustang pictured shows off its disc brakes through the front wheels. You may find similar (but smaller) components when looking through your rear wheels, or you may find something that looks a bit different. If you have drum brakes in the rear, there will be less to see. There is no exposed braking surface. It is just a solid drum that houses the shoes and hardware. 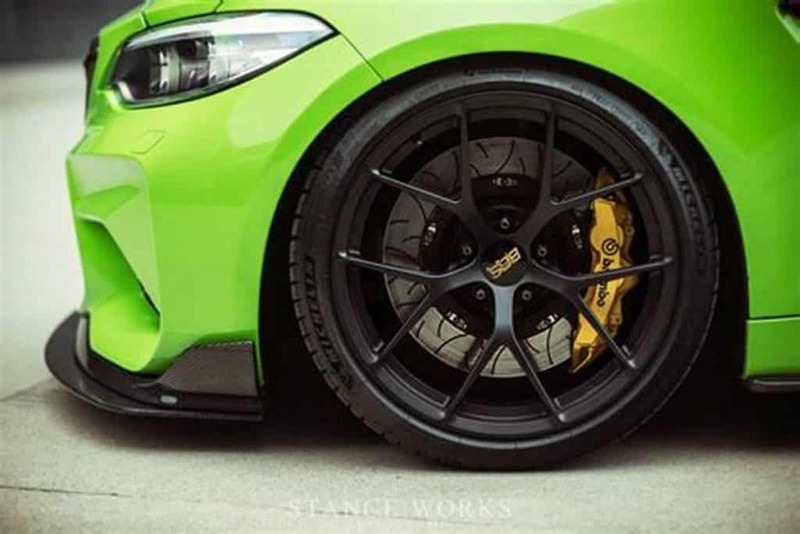 You have likely already guessed correctly that brake discs are better since they are more and more common these days. Disc brakes were originally invented to address a major issue with drum brakes: overheating. Since the brake shoes are completely covered by the brake drums, the extreme heat caused by the friction between the shoes and the drums has nowhere to escape. When the brakes get too hot the performance decreases greatly. This is known as brake “fade”. 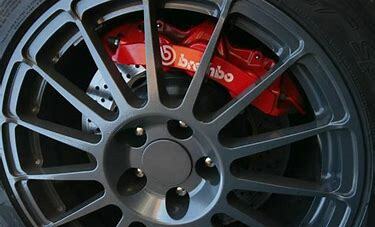 Brake discs allow for significantly better heat dissipation and therefore more consistent braking performance. So why don’t all vehicles come with 4-wheel disc brakes? Drum brakes are still lower cost, so some manufacturers use them, when adequate, to keep vehicle price down. They only use them in the rear of the car as most of the stopping power comes from the front of the vehicle. While disc brakes are superior, vehicles with rear drum brakes will still bring you to a stop without compromising your safety! If you’re looking to get your brakes repaired to replaced – give us a call and we can build you up a quote.